According to the Sinhalese tradition, Buddhism took root in Sri Lanka with the arrival of Ashoka's son Mahinda and his six companions. Sent as missionaries by the Mauryan emperor, these travelers converted King Devanampiya Tissa and many of the nobility. Under King Tissa, the Mahavihara monastery was built, an institution that was to become the centre of Sinhalese orthodoxy. After Tissa's death (c. 207 BC) Sri Lanka fell into the hands of the South Indians until the time of Dutthagamani (101-77 BC), a descendant of Tissa, who overthrew King Elara. During this time, as a reaction to the threat posed by the South Indians, Buddhism and Sri Lankan political formations became closely intertwined. Again, it was probably because of this danger that the Pali canon was first written down under King Vattagamani Abhaya in the 1st century BC. This king also built the Abhayagiri monastery, the main centre of the various Mahayana movements in Sri Lanka. These heterodox tendencies were openly supported by King Mahasena (AD 276-303). 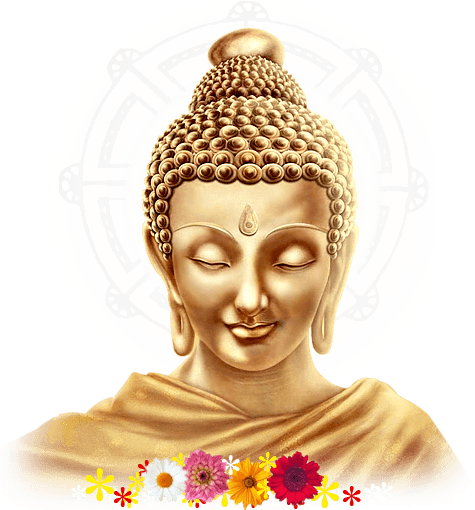 Under Mahasena's son, Shri Meghavanna, the "Tooth of the Buddha" was brought to Abhayagiri and made the national palladium. During the 1st millennium AD in Sri Lanka, the ancient Theravada tradition coexisted with various forms of Hinduism, Mahayana Buddhism, and Buddhist Tantrism. Beginning in the 10th century--as Buddhism was declining in India--Sri Lanka became a major locus of a Theravada Buddhist revival. As a result of this revival, Sri Lanka became a Theravada kingdom, with a sangha that was unified under Theravada auspices and a monarch who legitimated his rule in Theravada terms. The new Theravada tradition that was established spread from Sri Lanka into Southeast Asia, where it exerted a powerful influence. In modern times Sri Lanka fell prey to the Western colonial powers (to the Portuguese in 1505-1658, the Dutch in 1658-1796, and finally the British in 1796-1947). Under King Kittisiri Rajasiha (1747-81) the ordination lineage was once again renewed, this time by monks recruited from Thailand. The reformed splinter group from the Siam Nikaya called the Ramanya sect. Among the laity several reform groups have been established. Among these the Sarvodaya community headed by A.T. Ariyaratne is especially important. This group has established religious, economic, and social development programs that have had a significant impact on Sinhalese village life. Since Sri Lanka attained its independence from the British in 1947, the country has been increasingly drawn into a conflict between the Sinhalese Buddhist majority and the Tamil Hindu minority. Many Sinhalese Buddhists, including some monks, have closely associated their religion with the political agenda of the more militant Sinhalese nationalists. A few Buddhist leaders have, however, tried to adopt a more moderate position and to encourage a negotiated solution, the traditional basis for Sri Lankan political formation.